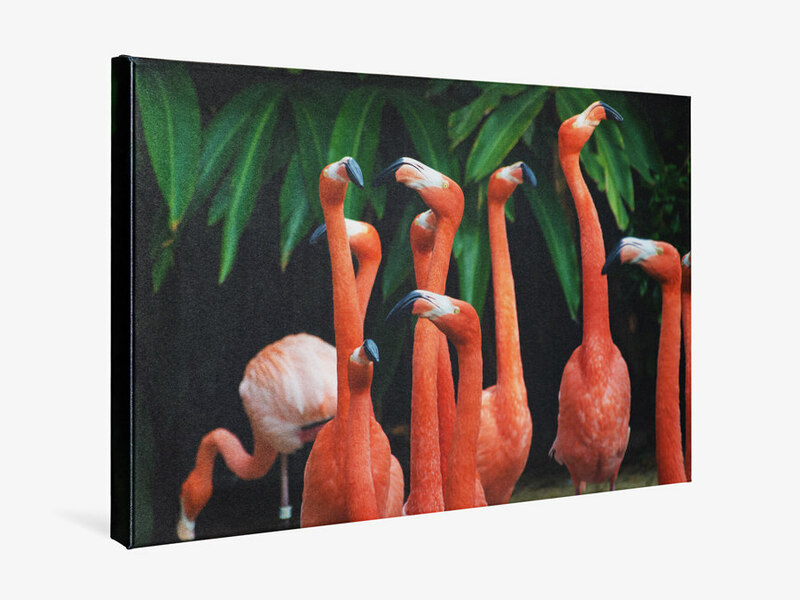 A textile canvas print is a good alternative to a traditional canvas print. The fine, smoothly woven fabric has a subtle texture with a glossy finish. The surface’s texture adds life to your picture. We only use non-toxic textiles awarded the internationally recognized Oeco-Tex Standard 100. The sublimation print applies your photo to fabric with crisp detail and brilliant color. The dye sublimation process vaporizes the inks into the material for exact color rendering with sharp contours. First your photo is reversed and printed onto transfer paper using Fine Art Inkjet pigments. This is then vaporized into the fabric using heat and pressure. The resulting image will not crack at the edges, and is resistant to small splashes of water. After it is printed, the woven fabric is wrapped on a high-quality solid wood frame. There will be no need to adjust or tighten it later – the reinforced corners prevent distortion. 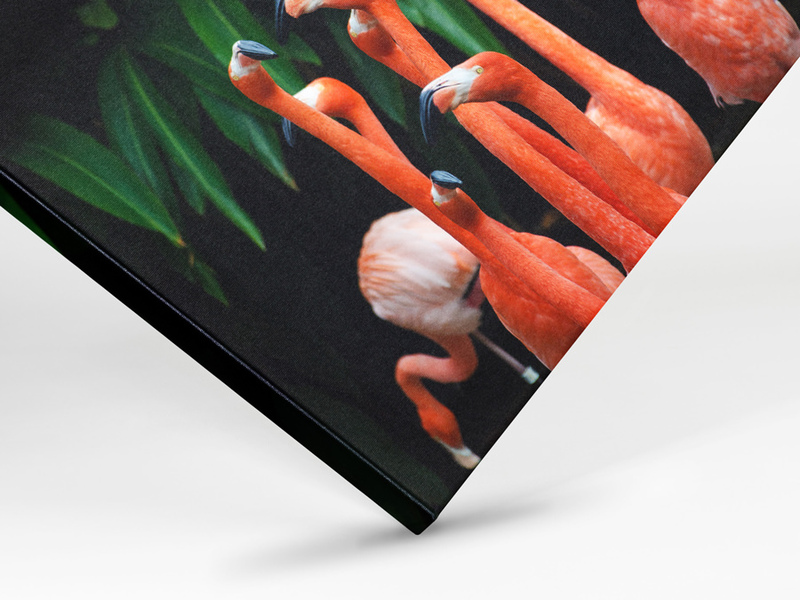 When it comes to your gallery-wrapped Textile Print On Stretcher Frame, we offer two options for the edges of your image: wraparound or mirrored. With wraparound edges, 1 3/16" (3 cm), 2" (5 cm) or 2 3/4" (7 cm) of the image (depending on the depth of the stretcher frame) are wrapped around the stretcher bars, meaning these parts of the image are no longer visible from the front. Mirroring the outer edges of the image is one way to ensure the entire picture remains visible from the front. You can order your textile print in a variety of sizes, from miniature to extra-large. At WhiteWall, we create your print in the exact custom format you choose. Textile Prints On Stretcher Frames are light in weight, making them easy to hang, no matter how large they are. Select from our standard, portrait, and panorama formats. Or set your own custom dimensions. With the right frame, a textile print can look even more impressive. We offer many models in different colors and made from high-quality materials. Your textile print can easily be hung using the stretcher frame itself. If you have your print framed, we attach metal picture hanging hardware as a standard. Either way, your picture arrives ready to display! There are many possibilities to make a photo truly stand out. Sublimation prints on textile are vivid and robust. The texture of the fabric is soft to touch. The image looks very natural and fits well in any living environment. Your photo virtually becomes part of the furniture. A solid wood frame adds warmth and creates a visual border. The eye-catching focus of a framed picture ensures that it will get the attention it deserves. In any case – it is hung on the wall in no time at all: The stretcher frame can be hung up immediately without the need for additional mounting material. Any chosen frame will have pre-integrated mountings. 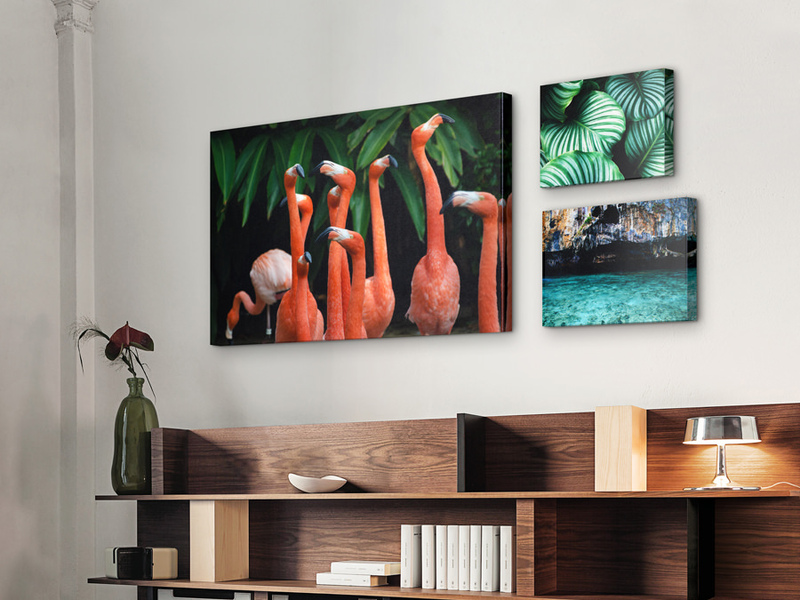 The authentic appeal of a canvas printed image is incomparable. The matt finish prevents any unwanted distractions, allowing the viewer to concentrate fully on the image. Your kids are getting older and you want to preserve their life stages as accurately as possible? A portrait on canvas captures the innocence of your child’s face just as well as the stroppy one of the teenager it becomes. The durable print will preserve each moment in time forever and if you are ever frustrated with your teenager, you can look back on the sweet innocence of yesteryear. 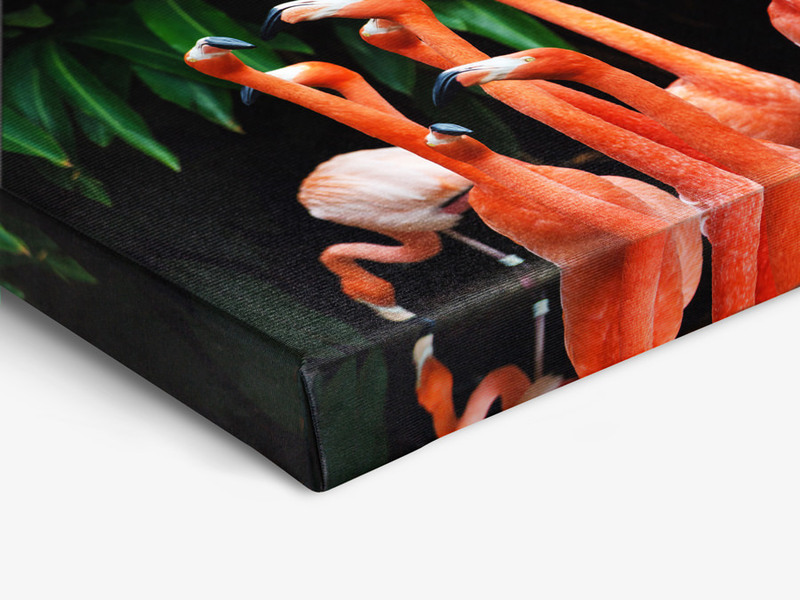 The sublimation print makes HD Metal prints even more robust. It is waterproof and keeps the most beautiful moments of your life beautiful forever in brilliant color. Choose a medium that will breathe life into your picture. Our solid wood ArtBox is a high-quality and contemporary frame. Our 3/16" (4 mm) frame has a delicate, understated look when viewed from the front. From the side, the view is of a surprising 1 3/8" (35 mm) depth. The resulting 3D effect is why this meticulously crafted wooden object is called an ArtBox. You can’t lock away a grumpy teenager in it, but maybe use it for a happy family picture to lighten everyone’s mood.